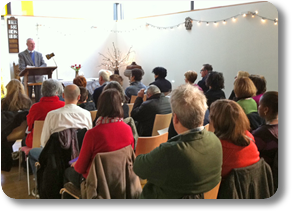 Stratford unitarian church has a Sunday service every week at 10.30am The main emphasis of our services is to be people centred. Where participation is encouraged. There is a strong experiential and inoavative form of worship that compliments the traditional. We use a child friendly and creative approach in some of our special services. Our open and tolerance approach at tracts people from diverse cultural and spiritial backgrounds.